Do you remember when chandeliers were only appropriate if you live in a super fancy house? Well, the times are changing and that isn’t the case any longer. 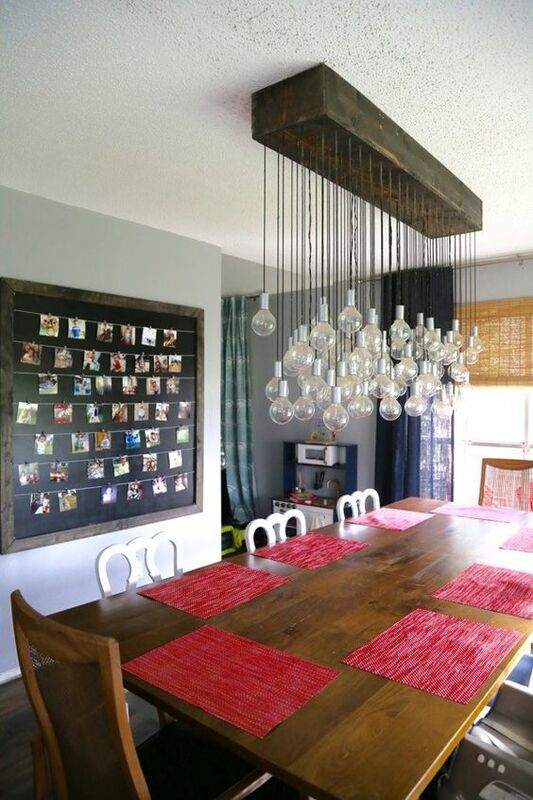 Truthfully, the more rustic a chandelier looks the more ‘in’ it is right now. So if you’ve always wanted a chandelier, know that the sky is the limit. 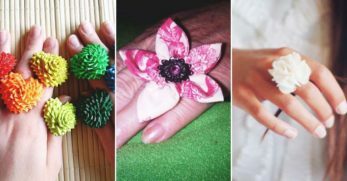 You can make them yourself, put them anywhere you want (even the bathroom), and your home will be all the rage. Which is why I’m bringing you some of the coolest chandelier ideas available on the internet. Some will show you how to make the chandelier, while others will just be for inspiration. But I’m sure you’ll find at least one that you love. So you enjoy eating outside, do you? Then create a nice dining space that you’ll enjoy all the more. 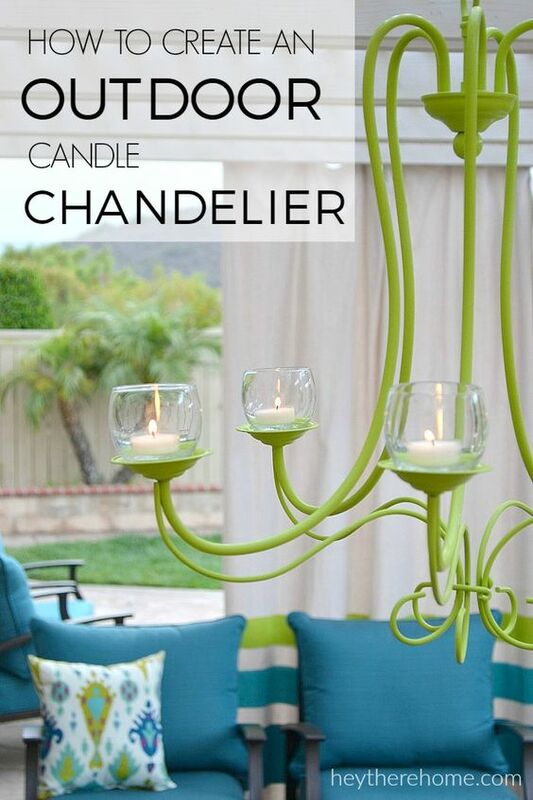 You can do this by adding a nice table, chairs, and this adorable outdoor candle chandelier. But the best part is that there is a tutorial to show you how to go about creating this masterpiece. Now you can make your space exactly the way you desire. 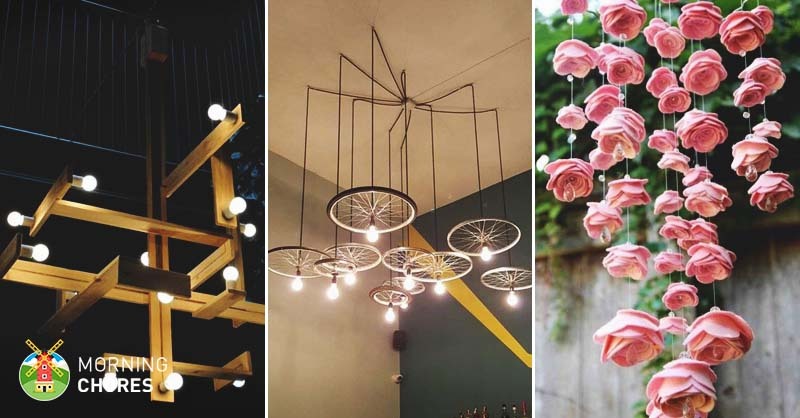 Do you have old bicycle wheels, and you aren’t sure what to do with them? Don’t toss them. 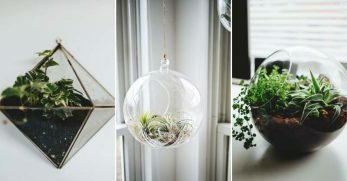 Instead turn them into a beautiful chandelier. However, keep in mind, that you might need some wiring experience to pull this off. 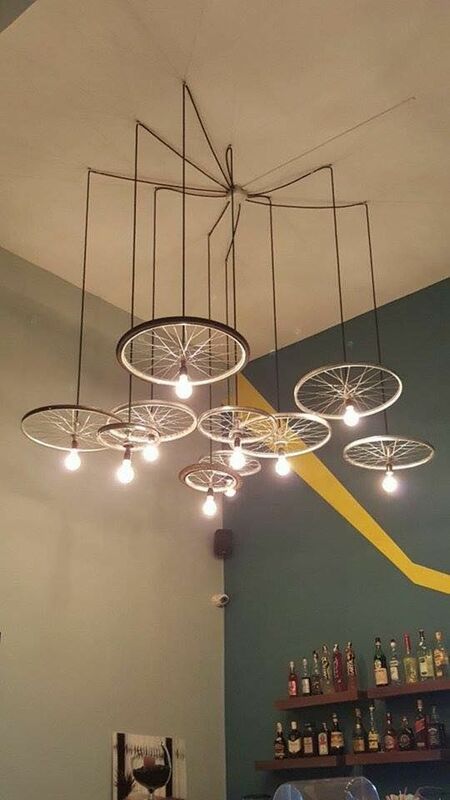 But with the right help, you could have these wheels hanging from your ceiling in no time. 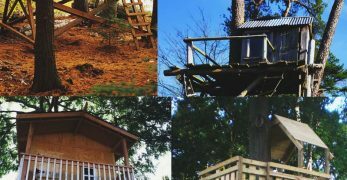 You know we love pallets around this site. 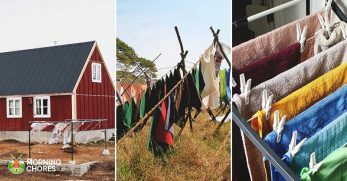 They are great building material that doesn’t (usually) cost you anything. So take that into consideration when creating your own pallet masterpiece. 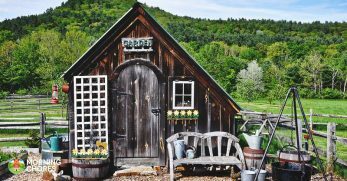 It is beautiful, rustic, and something almost everyone will love. 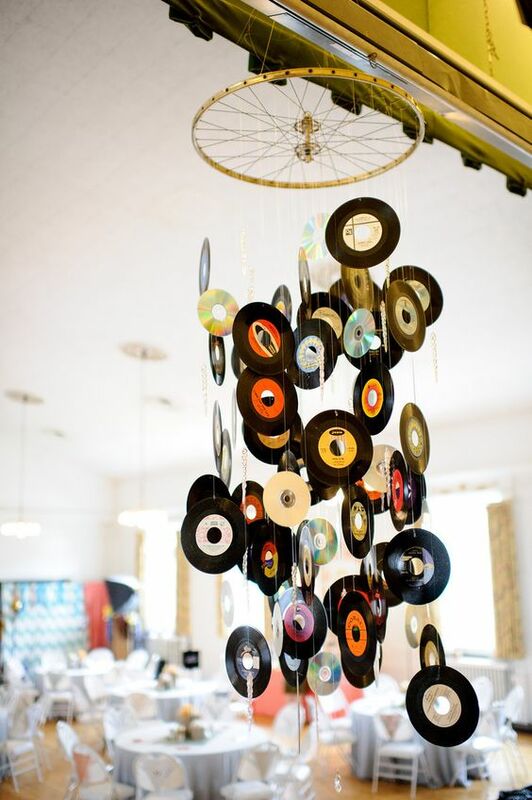 Do you have old records that you can’t do anything with? Don’t throw those out either. Instead, string them up into a decorative chandelier. Plus, it would be a great way to go down memory lane. People will be so thrilled to see records and the music that they held on them that it will be a conversation piece. This is another great outdoor idea. If you aren’t a big fan of having to light candles in your chandelier, then you should consider going solar. Instead of having to use fire for light, you just allow the sun to do its job. Then you’ll have plenty of light overhead in a much simpler form. This is a very frugal idea. 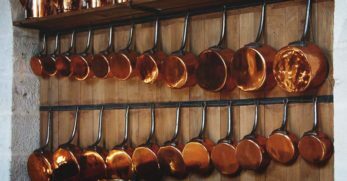 You can go to Goodwill in most areas and buy mismatched spoons for pennies, and you could probably find the circle to hang them from as well. 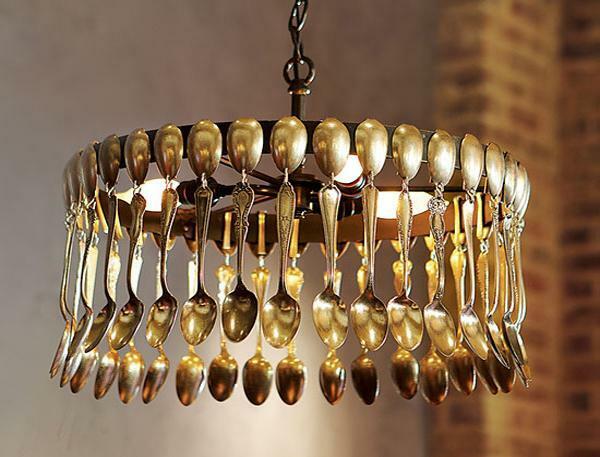 Then you just take it home and begin attaching the spoons in a design that you like. It is that simple to create this work of art. If you are looking for a chandelier to work as a party décor or something more on the temporary side, then this could be a good option. 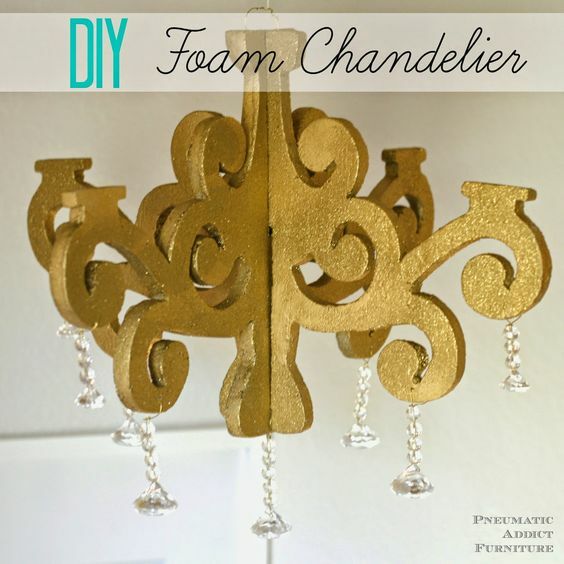 So you’ll just need to follow the tutorial to build your chandelier out of foam. 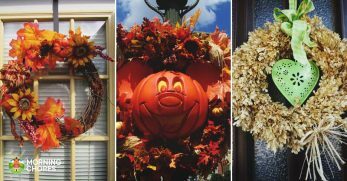 Then you’ll have a beautiful decoration that will stun guests. 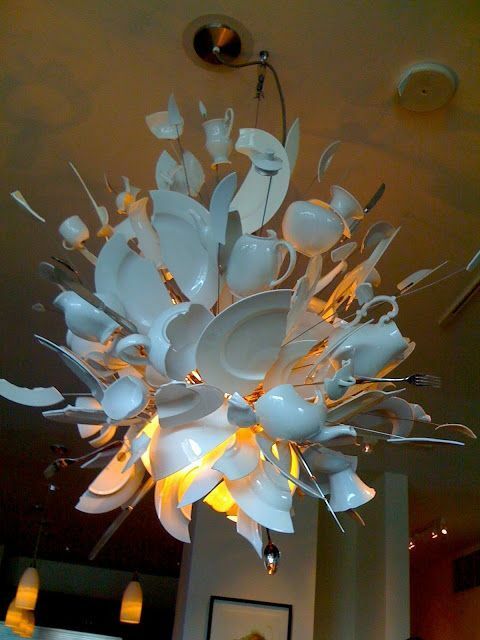 This is another great temporary chandelier. It is made of cardboard so I don’t see it lasting long term. 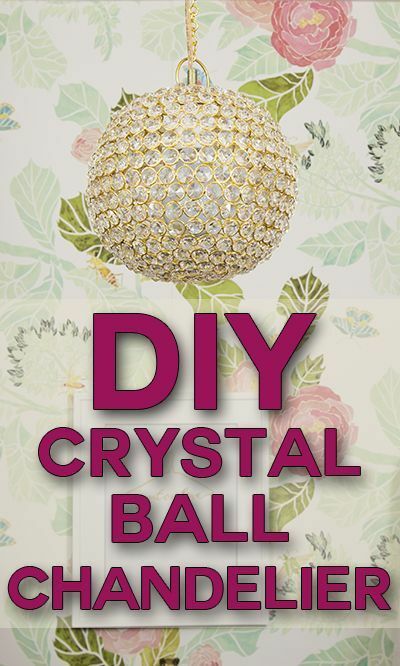 But if you’d like to create a chandelier for a party decoration, then you could follow this tutorial and create a chandelier that is very inexpensive. My mother-in-law used to make these chandeliers. They were really beautiful, and you can even change the design a little. For instance, she made her chandeliers to look like they were pouring something from the teapot into the teacup. This is another version of the solar chandelier. It is so you can have decorative outdoor lighting without any hassle of lighting candles or running electricity. Plus, this one has a very thorough tutorial to help you figure out how to create your own. This would be a cute décor item in more feminine spots in the home like a girl’s room or a powder room. 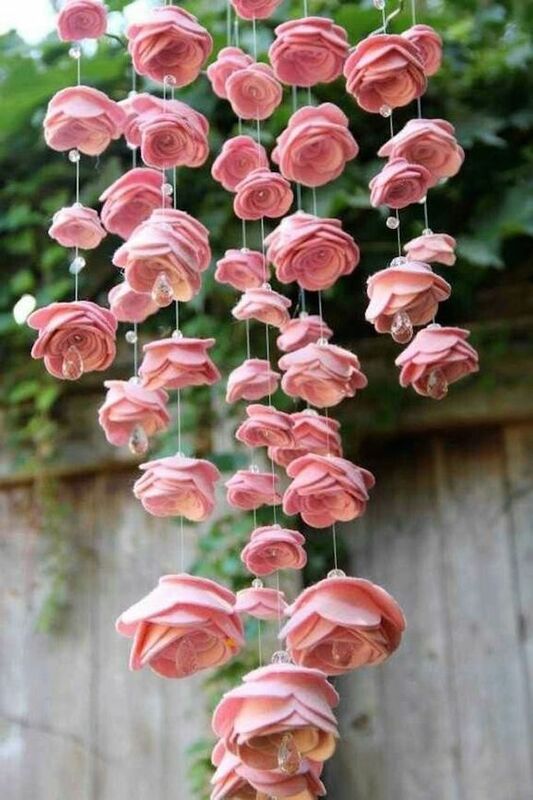 It would also be a beautiful decoration for a party or a wedding reception too. 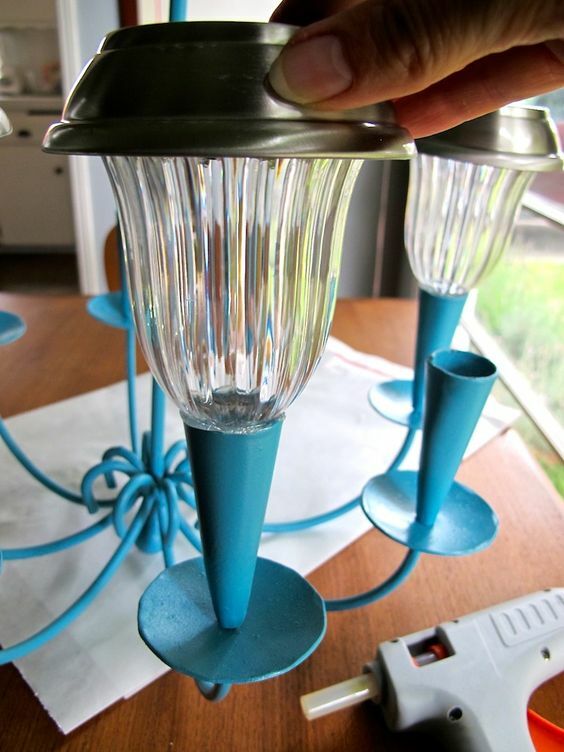 So if you are looking for something shiny and inexpensive to turn into a chandelier, then you might want to give this tutorial a glance. 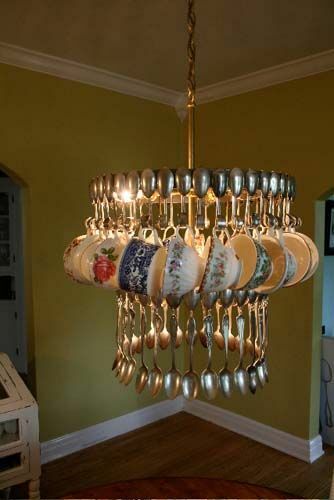 This chandelier would work well in almost any area in your home. The reason is that it is fancy without being over the top. 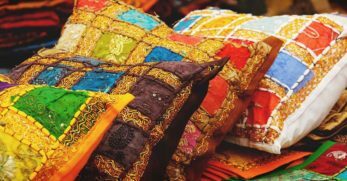 Since it is made from wood beads it can easily fit in anywhere. Follow the tutorial and create your own masterpiece. I’ve seen these little decorations on things like windchimes at souvenir shops but never knew what they were called. Well, they are miniature pendants that have tiny holes in them which can be turned into a brilliant little chandelier. Which makes awesome home décor. 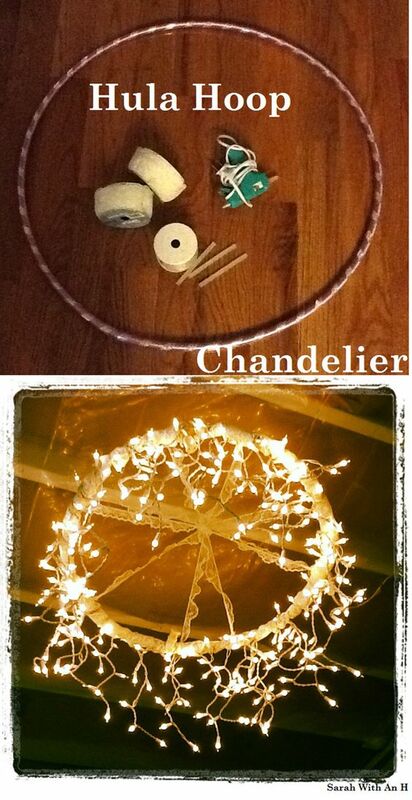 This chandelier is created by using a hoop and then lighting it with battery operated Christmas lights. You then need a hanging mechanism. As you can tell it is pretty easy to figure out. Hopefully, it will light up your dining room and make it a more enjoyable place to gather. 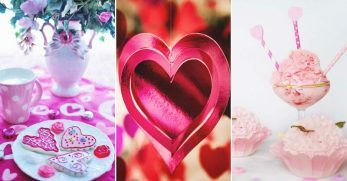 Around your anniversary or Valentine’s Day, you may want to find a cute way to decorate. 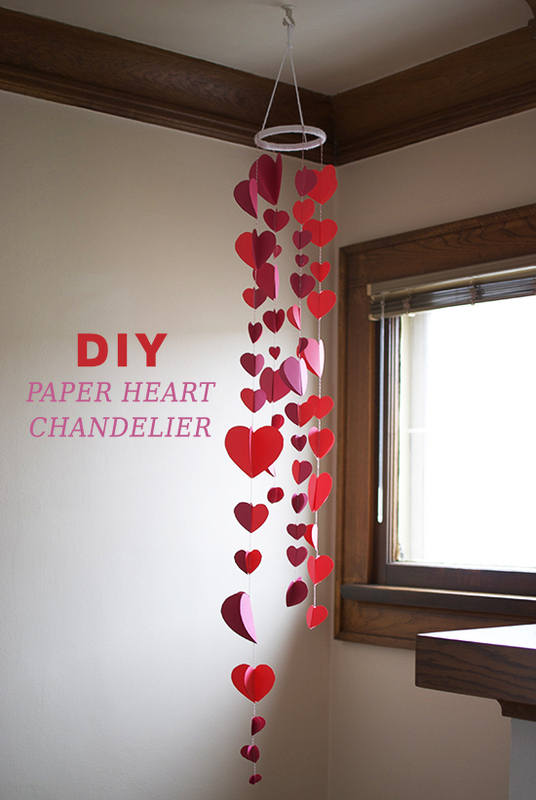 This would also be a great decoration for a kid’s Valentine’s Day party as well. Plus, it looks pretty simple to figure out and should be relatively inexpensive to create as it is made out of paper. 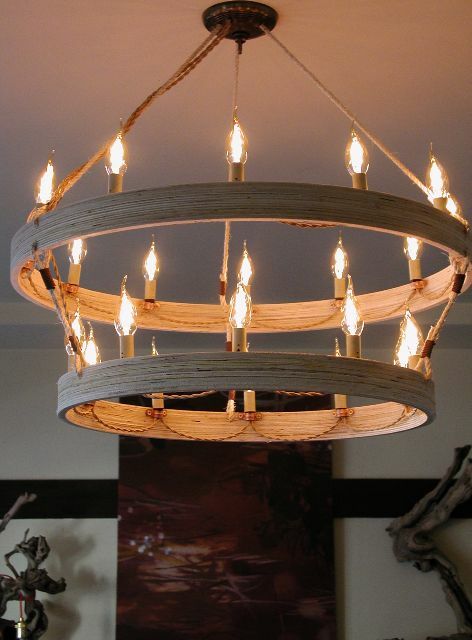 This chandelier is really gorgeous, rustic, and simple in design so that it can fit right in any room that you’d like to decorate with a chandelier. But thankfully, it does come with an awesome tutorial to walk you through the entire process of creating this masterpiece. This looks like it would take quite the artist to recreate this masterpiece, but it is so cool I had to share it because you just never know who out there could actually recreate it. But sadly, there is no tutorial because I never could locate which site actually originated this beautiful piece. 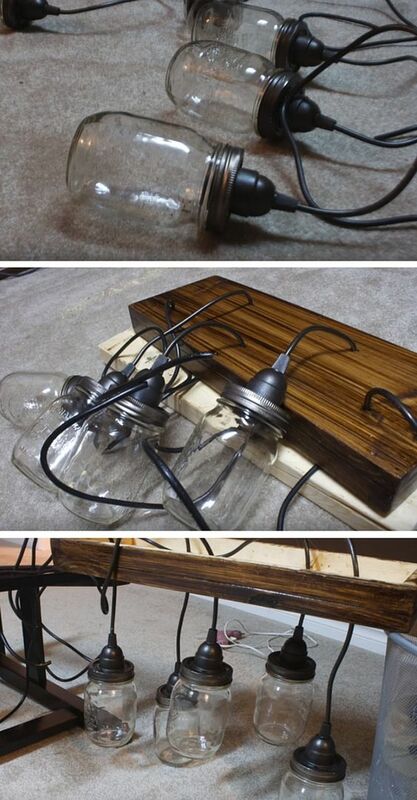 This is a really rustic design for a chandelier. 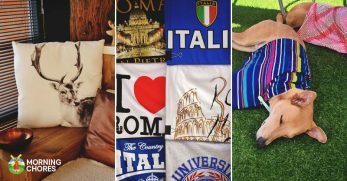 Yet, it would work really well as wedding décor or even in a rustic designed kitchen. Unfortunately, there is no tutorial to help you along with this design so you’ll have to try to piece it together if you like the design. 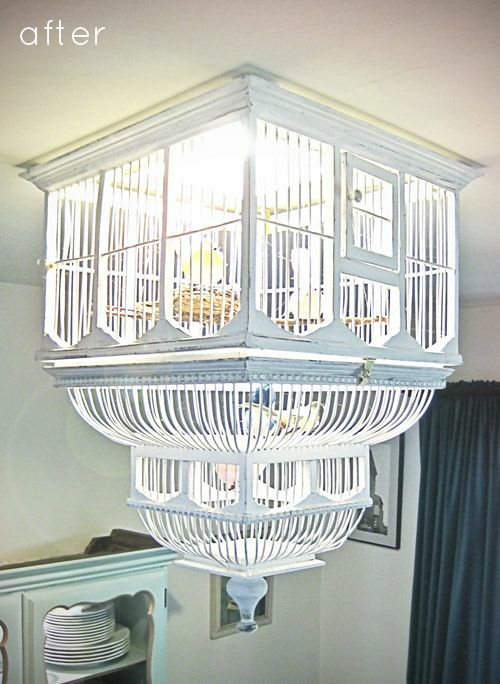 This birdcage chandelier is really awesome. They hung it upside down and made it look like a birdcage that was actually in use. So if you have an old birdcage, don’t toss it out. 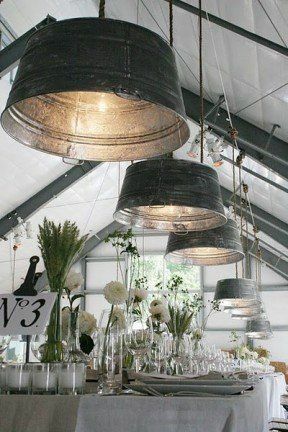 Instead, recreate this beautiful chandelier that is sure to catch every guest’s eye. This pendant is really cool. It uses industrial material but still has a sleek appearance to make it blend in any modern designed room. 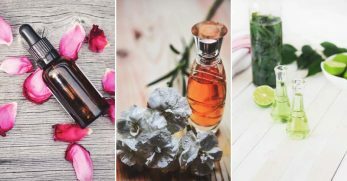 So if you like this idea, you are in luck because there is a great tutorial to help you along with the process. This chandelier actually looks really cool. It is made from a wreath hanger and is wrapped in tulle. Then they hang lights from it to catch everyone’s eye. It appears to be inexpensive and really gorgeous. 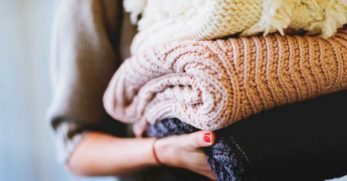 This is a super cool idea and appears to be less expensive as well. You could use this chandelier in any area of your home. And though it doesn’t have a written tutorial, it does have pictures to help you along with the creative process. I really like this idea because it is so simple yet it looks so good. You just place hula hoops inside each other. Then you paint them and string a light inside of them for illumination. 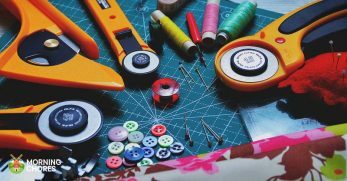 It shouldn’t cost a lot to create either. Do you have an older chandelier that makes your dining space feel and look a little dated? Then you need to consider using this tutorial to update it. 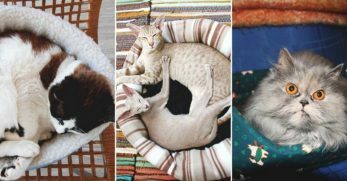 It looks pretty simple to do, and the finished product is adorable. 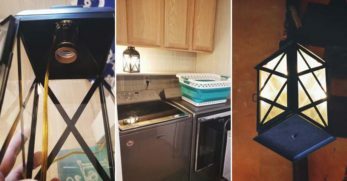 This woman found a great pendant light that she loved very much. However, the store-bought version was close to $200. So she went home and figured out how to make it herself. This only cost her around $40. Talk about savings! 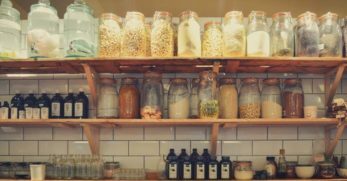 We made a similar version of this to go over our counter space in our kitchen. It was pretty simple to do and very inexpensive. 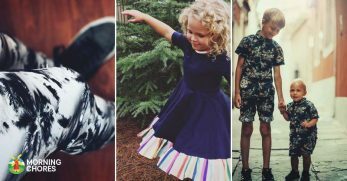 But if you are unsure how to even get started, there is a great tutorial to help you along with the process. Isn’t it funny how an item that used to only be used in the higher end homes is now something that can be created from the dollar store? Well, it can. 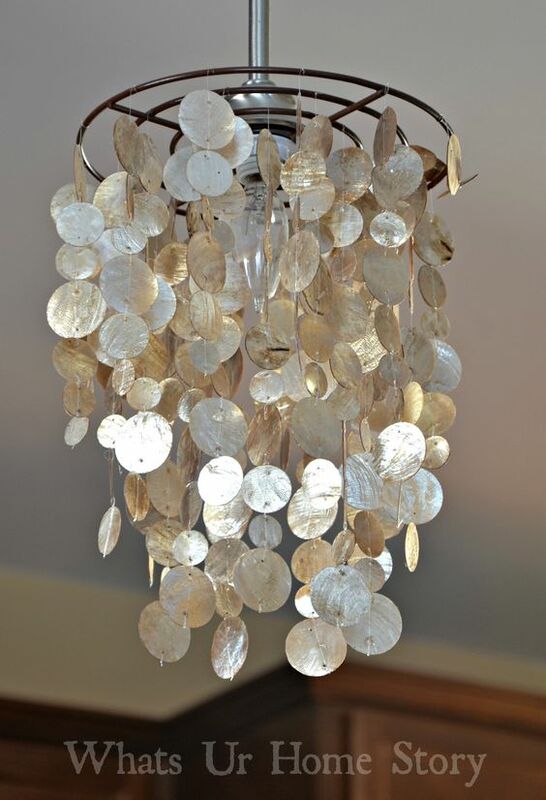 This chandelier even has a great tutorial to show you how to recreate this masterpiece on a very tight budget. 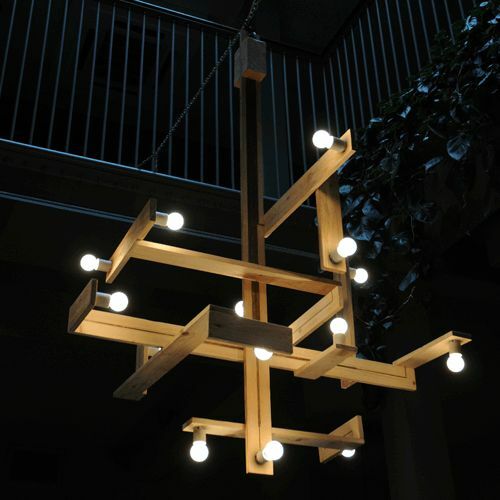 This multi-bulb chandelier looks really great. It would fit in well in almost any décor setting. But it also has a great tutorial to help you along in the process. So you can recreate it yourself. Are you planning on having a garden party anytime soon? If so, then you’ll want to check out this chandelier. However, it doesn’t have a tutorial so you’ll have to use this mainly for inspiration. 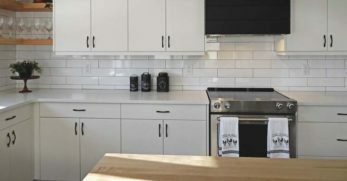 This rustic industrial pendant is a really unique design that fits into most any home décor situation. Plus, this pendant also comes with design plans that will make building this that much easier. 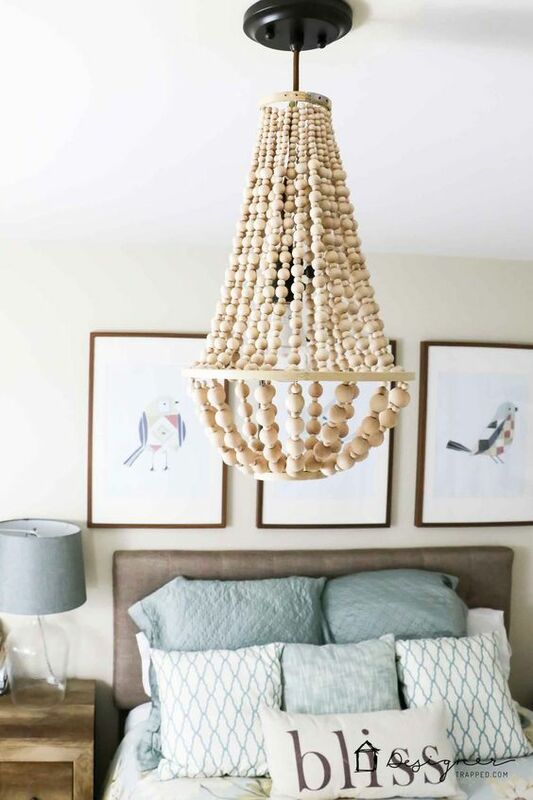 This fringe chandelier is a fun way to decorate your home. It looks pretty simple and inexpensive to create as well. But it also comes with a tutorial to make designing it that much easier. 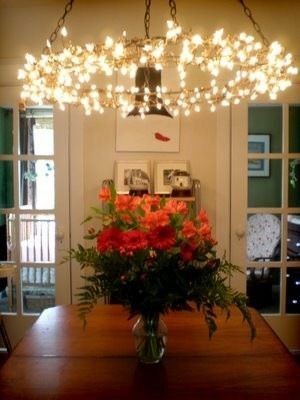 This chandelier is another great design where you can use a hula hoop to create something magnificent. 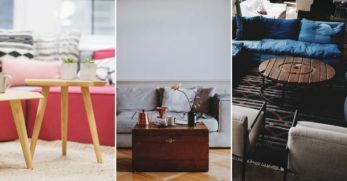 So if you are looking for an inexpensive way to add some softer light to a room in a really unique way, then this could work quite well. 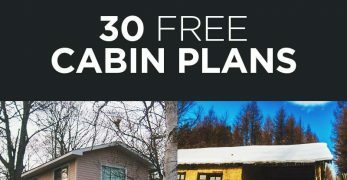 This would be a great project to make right after Christmas. 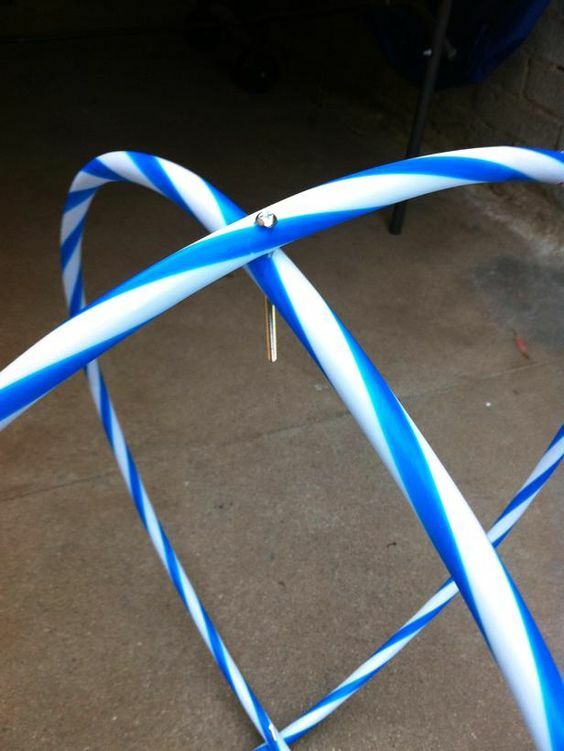 You can use anything circular (like a hula hoop) and then string clean Christmas ornaments from it. So next year, when all of the ornaments go on sale after Christmas, stock up and create this beautiful chandelier for less. This chandelier is a really neat design. You create it kind of like you do paper mache. You blow up a balloon and place the doilies all over them. Then when they hold their shape, you pop the balloon. It then becomes your doily chandelier. 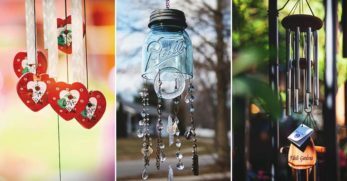 Now that you have over 30 options of DIY chandeliers, you should be able to add a little something special to any area in your home. 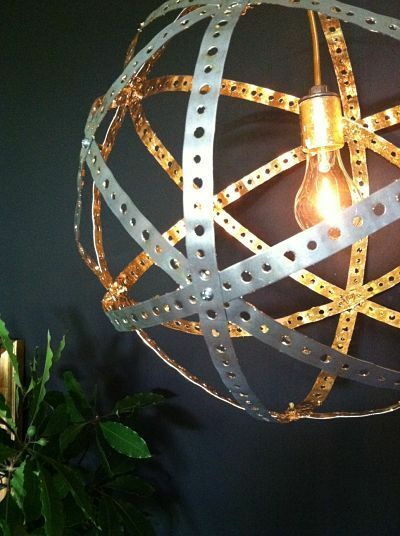 But I’d love to know, have you ever made a DIY chandelier before? What kind did you make? Any pointers you can give to those that are new at this? We love hearing from you so be sure to drop us a line in the comment section below.